Although bullying has always been a concern that parents have for their children, the advent of the Internet and other types of technology has increased the number of types of bullying that you may need to watch out for. By acting quickly to deal with any bullying that may come up and providing your child with the proper tools for dealing with that bullying, you'll help to make your child happier and reduce the risk of the negative effects that bullying can have. Read on for a brief overview of some of the common types of bully behavior that your child may encounter at school or elsewhere. One of the most simple types of bullying, but simultaneously one of the most hurtful to a bully victim, is verbal bullying. 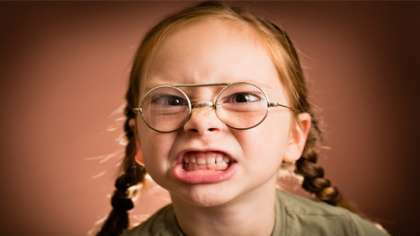 Verbal bullying may begin at a very early age with childish name calling and taunting. Although this behavior may seem commonplace and unthreatening to a parent or an older person who has heard these taunts before, it can be devastating to a child. Verbal bullying may continue throughout your child's young life as well, although it oftentimes becomes more subtle. From basic putdowns to more complicated mental games, bullies can break down your child's emotional health in a variety of different ways through the words that they use. When most people think of bullying, they think of physical bullying. Physical bullying is typically done by larger students or older children who have a size advantage over other children. Physical bullying generally consists of any type of bullying that involves injury to your child. The injury may be obvious to you, or you may not realize it has happened. Physical bullying not only provides a danger to your child's physical health, as some bullying injuries can be quite serious, but it also can have a negative effect on your child's emotional health as well. Prompt attention to physical bullying is necessary to ensure that your child doesn't have barriers toward his happiness. In recent years, the advent of the Internet and cell phones has given bullies a third major way to affect other children. Because cyber bullying is a relatively new phenomenon, many parents are not aware of the threat that it poses to their children, nor are they sure of how to deal with it. Cyber bullying generally consists of any attacks on your child that occur online. They may involve text messages, phone calls, instant messages over the computer and attacks through social networks. One of the major dangers of cyber bullying is that it can be very difficult to determine that it is happening. It can be a very intimidating thing for your child to deal with, so one of the major signs is changes in your child's behavior or his time spent online or at the computer. For more information on bullying and how to deal with this problem, consult with an official at your child's school or with a counselor.